How will Brexit affect the Irish Film and TV industries? Will there be more obstacles to companies based in Northern Ireland and those trying to shoot films on location there? Will actors, writers and other creatives find it more difficult to work in the UK post-March 2019? What would happen if the UK departed the European Convention for Co-Production? Will there be fewer Irish and other European films on our screens after 2019 or will it herald a new era of creative exchange? We have assembled these key industry panelists from Ireland, the UK and beyond to discuss these questions and more. Teresa is the Deputy CEO of the Irish Film Board. She is across the commercial and financial aspects of projects that the Board invest in and the marketing and promotion of Irish films and the Irish film sector, domestically and internationally. She is also across the Boards strategy with regard to the audio-visual industry training to increase the creative and business capacity of the sector. David McMunn is a communications/media professional with 20yrs regulatory, corporate, legal & commercial experience. He assists companies in the Digital Media Environment in Ireland, UK & the EU with: Brexit & national/EU Regulation, Broadcast, telecoms & digital media regulation, Commercially focused rights advice and dispute resolution services. Simon Perry, a film journalist, filmmaker & producer with his own Umbrella Films, was previously head of British Screen Finance (UK Film Council) & Chief Exec of the IFB 2006-11. Films supported by the IFB under Perry include Once, Garage, Kisses, His & Hers & The Guard. He is currently president ACE, a Paris-based initiative that provides training for European producers. 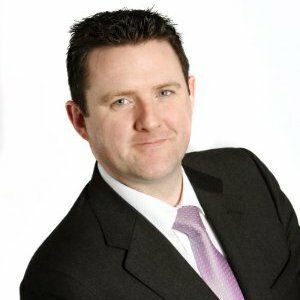 John P Gleeson is a Grant Thornton Partner, heading up their Media practice. John has over 20yrs commercial experience in tax advice for individuals & corporates. He has particular experience in film & television projects having raised finance & advised on transactions for large international television series, animation series for the US market & numerous features, including: Vikings, Ripper Street, Camelot, Moone Boy & Frank. Isabel Davis is Head of International in the BFI Film Fund Team, which works across film development and production, audience development, and operations and partnerships. She combines an editorial role in the Film Fund with responsibility for the BFI’s international strategy. She plays a key role in negotiating co-production treaties and maintains and fosters co-production relationships with all of the UK’s partner countries. 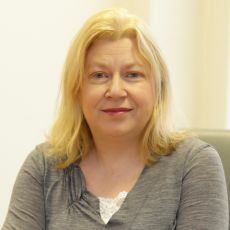 Prior to joining the UK Film Council, Isabel was Head of Development at HomeRun, during which time she developed a slate of film and TV projects.